Unitron’s passion for bringing the latest technologies to market have succeeded in providing customers with the opportunity to be part of the “best in conversation”, providing support to enhance the most difficult of listening environments. T Pro – Pinpoints speech from all directions in the most challenging situations and provides the most realistic listening experience for all types of sounds, in addition to beautiful sounding music. realistic listening in quieter situations, in addition to beautiful sounding music. Unitron have recently launched their Moxi All, Behind-The-Ear range, driven by their revolutionary Tempus performance platform, equipped with SoundCore, SpeechPro, Spatial Awareness, SoundNav, SoundConductor, SpeechZone 2 and Antishock. After just 5-7 hours of charging they’re ready to perform for a full 24 hours. Simply pull the rechargeable aid out and put them on. Hearing happens around the clock. That’s why we provide the flexibility to swap the rechargeable batteries for disposable batteries any time, so you never miss a conversation, or have to worry about losing and dropping batteries as you try and change them over. 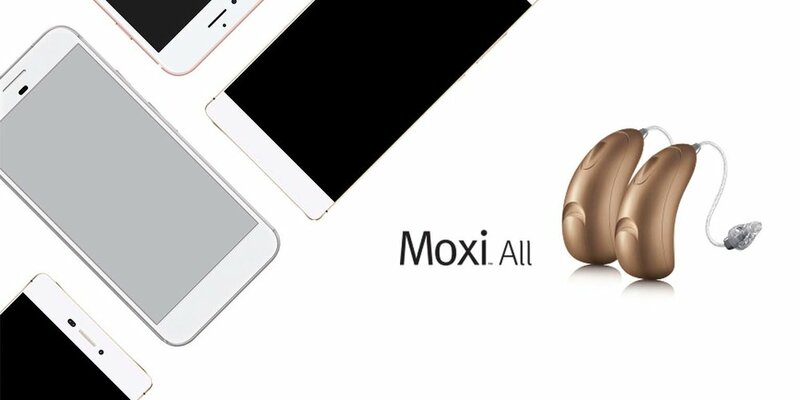 Moxi All is a world’s first, designed for all mobile phones, direct-to-ear hearing aid to the best in conversation.